Up in Smoke is an American BBQ joint making waves out west. While we’d been keen to visit for some time we left it quite a while after opening to pay Up in Smoke a visit. 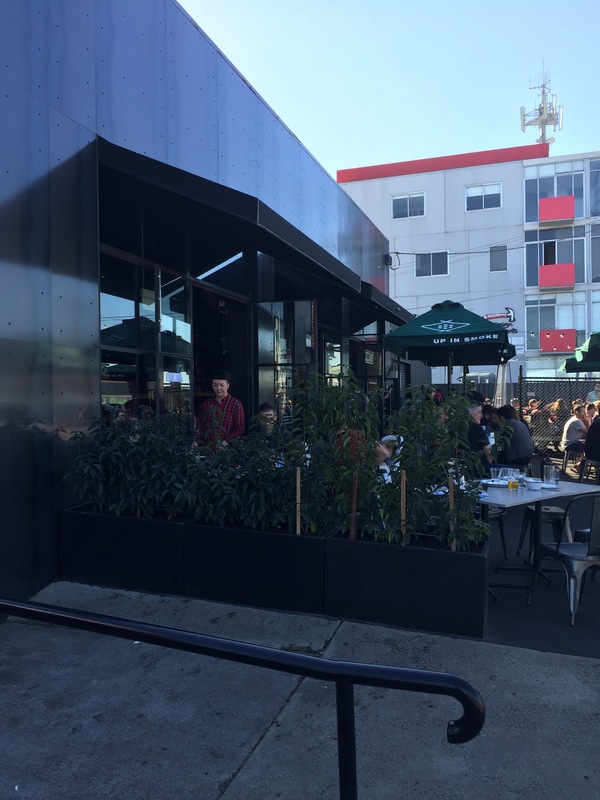 We sat outside in the sunshine, it was warm, fresh and very pleasant. We were hoping to try their meat but were unaware they weren’t available for a weekday lunch. Instead we chose a range of everything else on offer. 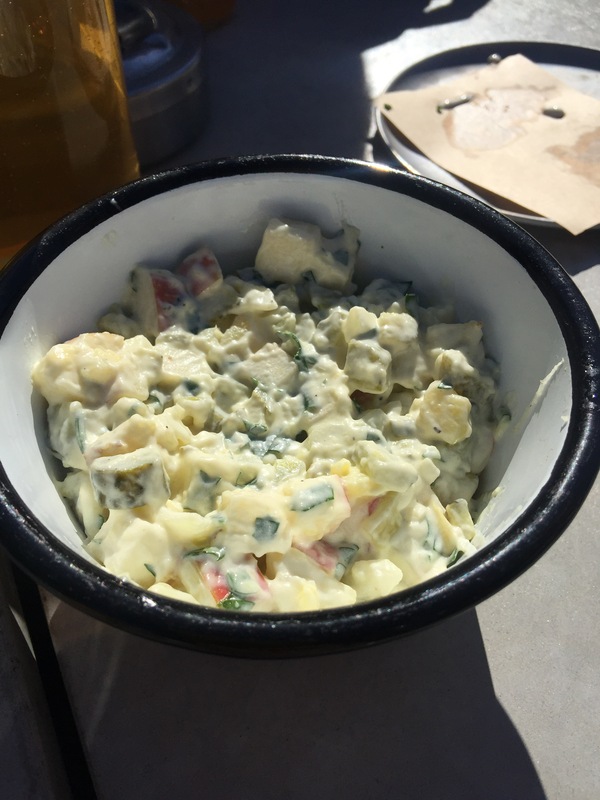 Starring with a creamy and tangy potato salad. 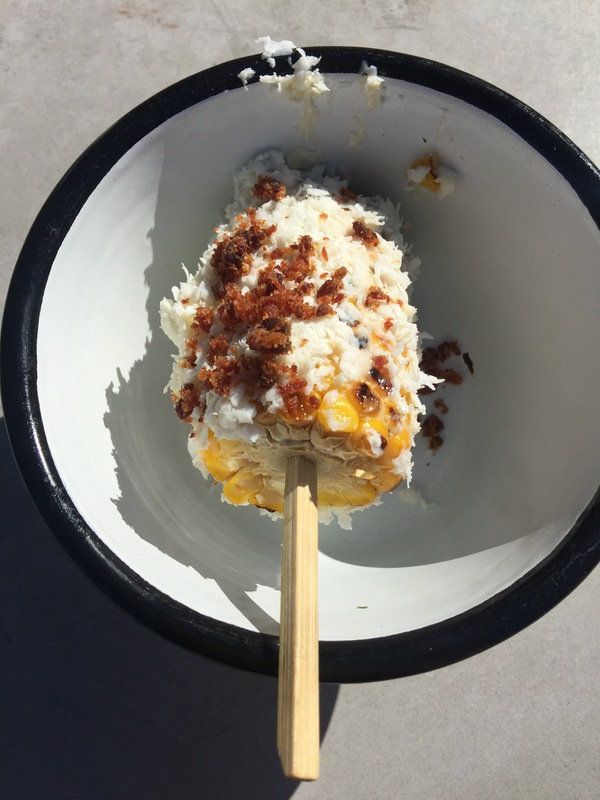 Next up, cheesy and spicy corn on the cob – something we’ll always order should we come across it on the menu. 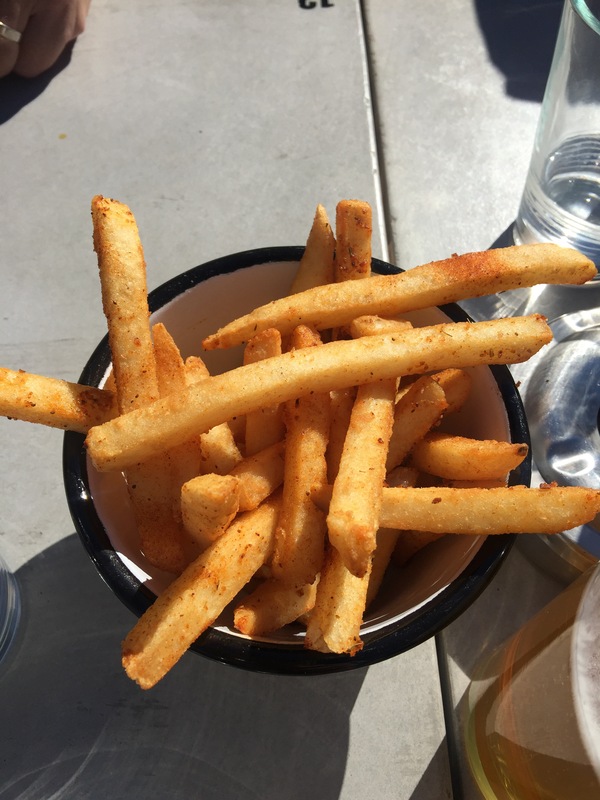 We also tried the ridiculously good BBQ rubbed fries, delicious for having soaked up all the meaty, fatty, crispy bits. 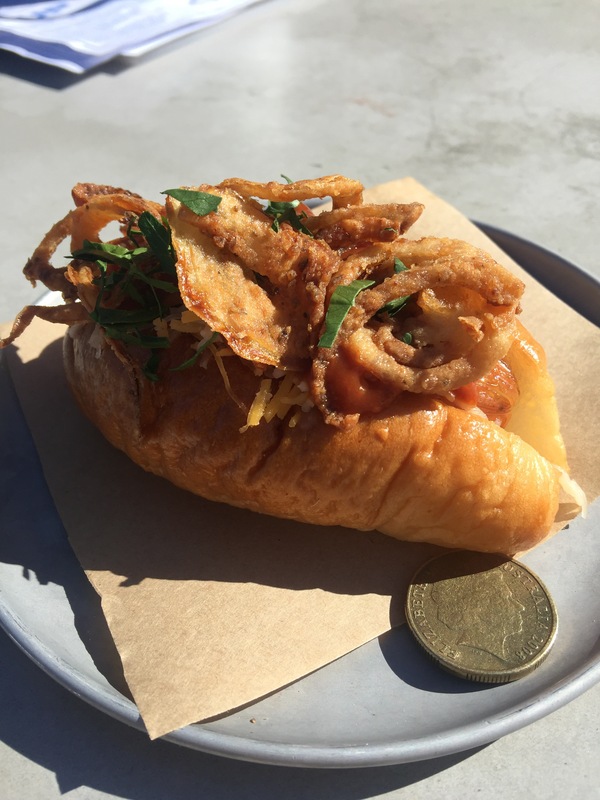 We also opted for a Mini kransky dog, super crispy, meaty, cheesy and delicious flavour burst! Given we couldn’t try their BBQ meats we went for the only options on offer. 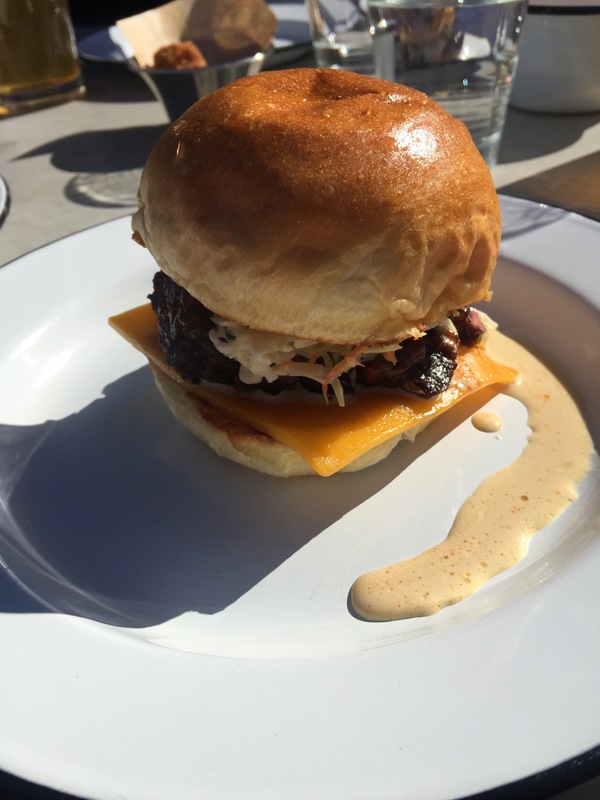 A real star was the brisket burnt ends burger. All I can say is that if this is what their burnt ends take like I can only imagine how good the rest of their brisket is! 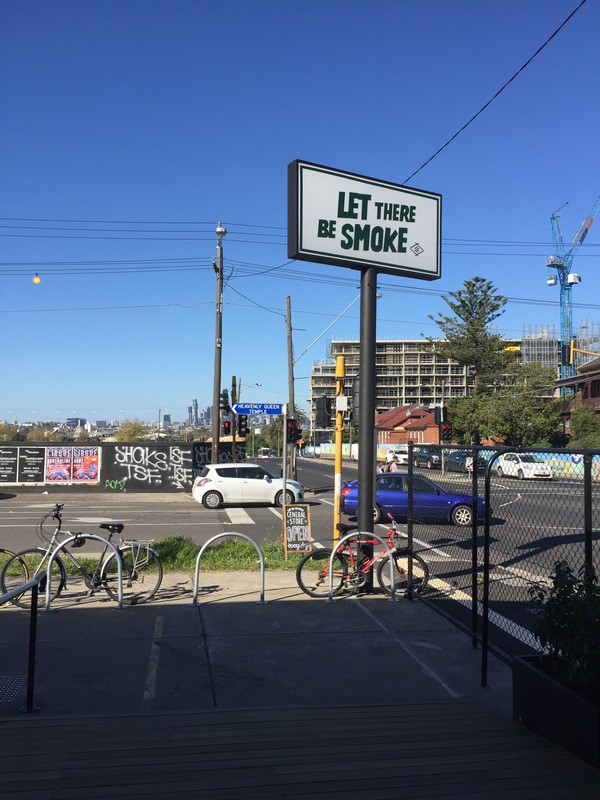 Up in Smoke also have a retail store so you can take home all the BBQ-y goodness you want! If you’ve a hankering for some good barbecue, it’s time to head out West!